Rock painting continues! We had so much fun on July 14, we have decided to continue painting! Join us for this free all day event! 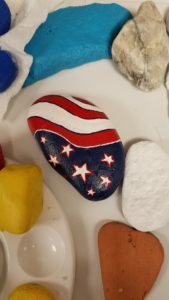 Drop in anytime, pick a rock from our collection, personalize it with your own design and inspiring message and then “plant” it somewhere to encourage others as they go about their day! Newbies, skilled painters, young, old – all are welcome! !